Recover and reuse your PDF content with Solid Converter PDF. Simply open your PDF file in MicroSoft Word. Then edit. Solid Converter PDF to Word delivers the content right to your fingertips. PDF to Word Converter - Solid Converter PDF Turn your PDFs into documents you can edit. Solid Converter® PDF to Word converts PDF files into Microsoft® Word documents, Excel® spreadsheets and more. Plus, you can save your Word files as PDFs for easy distribution or display on the Web. Solid Converter lets you recover the text, layout, and images of your original document at a fraction of the cost of Adobe® Acrobat®. Notice !!! Solid Converter PDF you are attempting to purchase are no longer sold through our service, or are in the process of being setup for ordering. Solid Converter PDF is integrated with Microsoft. Solid Converter PDF can be used as a standalone converter tool or as a plugin for Microsoft Word and Adobe Acrobat (not Reader). You do NOT need Adobe Acrobat or Reader to use our converter! Solid Converter PDF is also available through Explorer's right click local menu. A command line interface is available for batch processing. Supports 15 languages and counting: English, Chinese Simplified, Chinese Traditional, Danish, Dutch, French, German, Italian, Japanese, Korean, Norwegian, Portuguese, Russian, Spanish, Swedish. Image2PDF - directly convert dozens of image formats into PDF format. Convert PDF to TEXT Converter - Convert PDF to Text super easy ! A PDF to Text Converter to Convert PDF Files to TEXT files and TEXT viewer. Advanced PDF Password Recovery - PDF Password Recovery program to decrypt protected Adobe Acrobat PDF files! Encrypt & Decrypt PDF - Encrypt & Decrypt PDF - Easily encrypt & Decrypt your PDF files in patch! Excel to PDF Converter - Instantly Convert Microsoft Excel Document into PDF Files. PDF to Word - The Best PDF to Word Converter for your ! Convert PDF to Word Easy ! 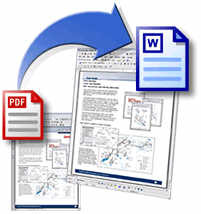 PDFcamp(pdf writer) - PDF creation software that converts any type of printable Windows document,. PDF To Image Converter - An application program based on Windows platform, which can directly convert PDF files to dozens of image formats . PPT to PDF Converter - Convert Microsoft PowerPoint Document into PDF Files, Convert PDF PPT is super easy !